Here at Richmond Rascals, our staff are dedicated to the wellbeing of your pet. We have created an ambience using comfy sofas and matching dog beds, together with a roaring fire, that immediately puts pets at ease, allowing them to feel relaxed and at home. 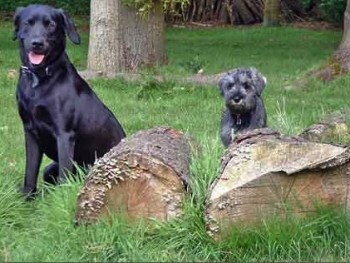 We provide a range of pet care services that encompasses doggy day care, dog boarding – and dog walking. 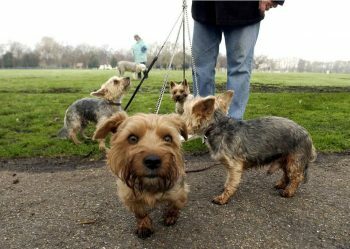 Dog walking is more than just grabbing a lead and getting some exercise. First of all you must have a passion for dogs … and then be willing to walk them in all weathers. That is what we do! 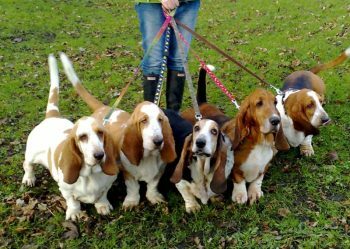 When we provide doggy day care or dog boarding services, we do not use kennels but have a 2-acre fenced land where pets can roam freely. There is also a large internal area that also gives your dog the space to run around when the weather is too bad to go outside. 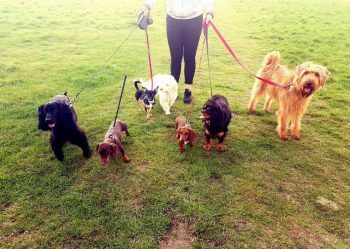 Dog walking has become an essential part of our daily routine and is now one of the specialist services we offer. We are fortunate in that we are close to parks and can take advantage of the wide open spaces and long trails and paths. 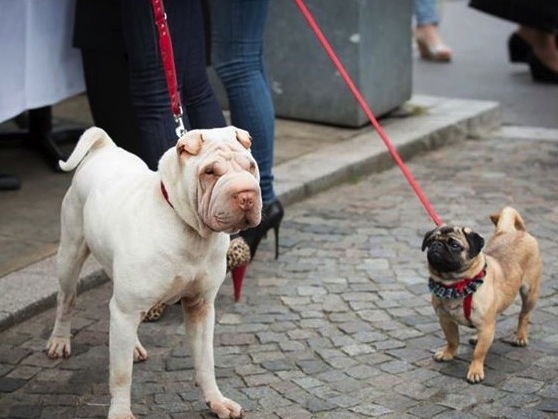 If you would like us to arrange 1-on-1 walking for your dog please call us on 020 8948 2250. For more information please call us on 020 8948 2250 during office hours from Monday to Saturday. Appointments can be made on Sundays despite the boutique being closed. Opening times are 9.00 am to 5.00 pm Mon-Sat. Boarding provided 7 days a week. Mon – Sun. Daycare provided 6 days a week Mon – Sat. Appointments can be made on Sundays despite the boutique being closed via voice mail.